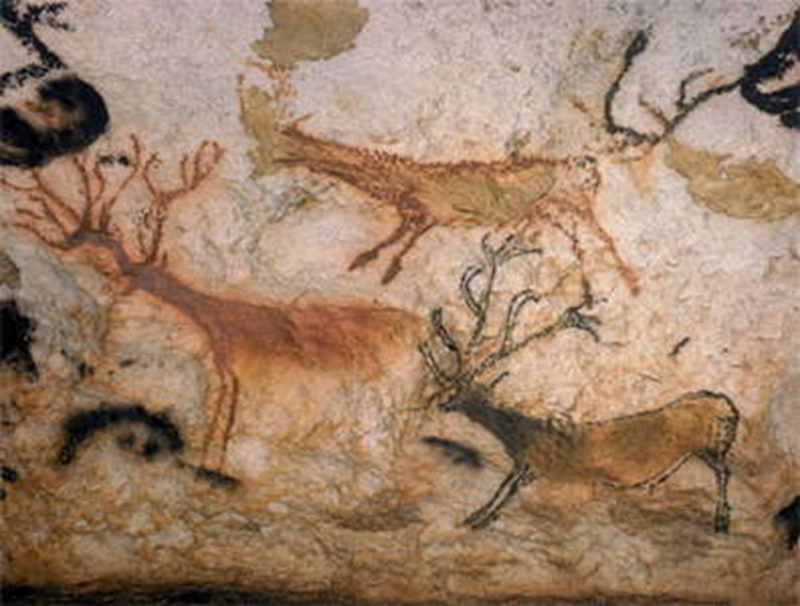 It was 77-years ago on September 12, 1940 when four teenagers and their dog, Robot, discovered the entryway into what is called the Lascaux Cave, which is near the village of Montignac, France. In reality, it was Robot, who discovered the cave while chasing a rabbit into a small opening in the ground. 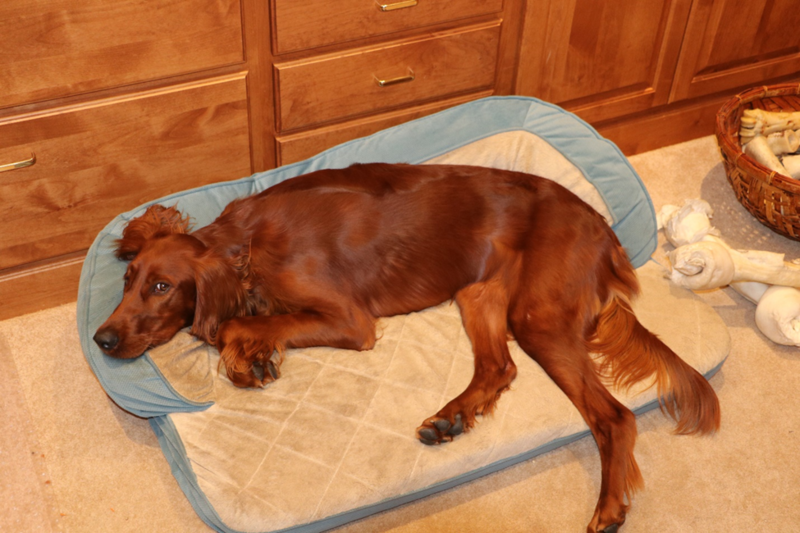 As I was writing this essay, Ginger, my year-old Irish Setter was quietly watching me put this essay together. Ginger has two lifestyles: resting or hyperactivity. Either she is relaxing, or she wants to go out and explore the Lake La Mancha Moor. As Ginger lay on her divan next to me as I was writing, I told her about Robot, who discovered the Lascaux Cave. The excitement in my voice got her excited. 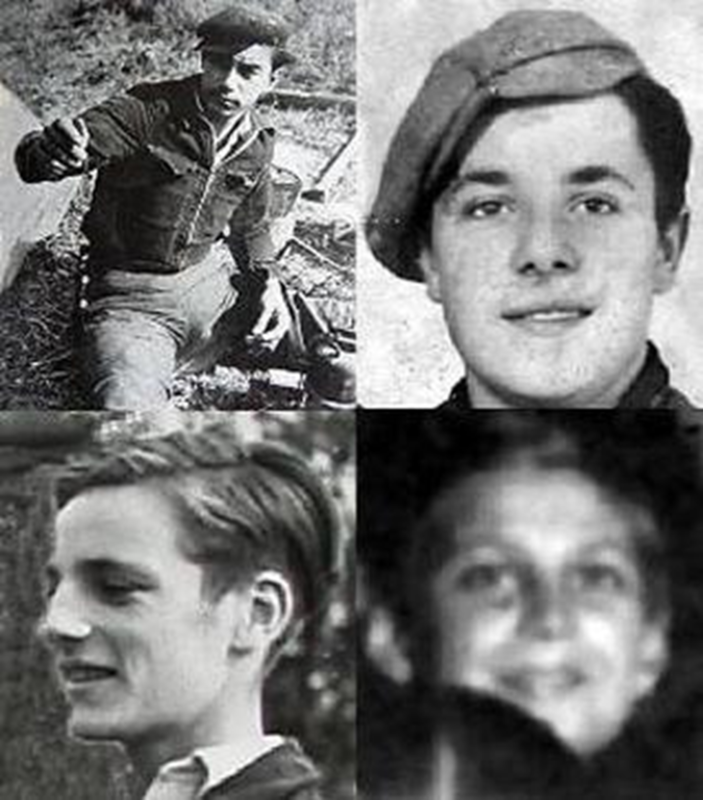 I showed her the following photo of the four teenagers that followed Robot into the small entrance of the cave. 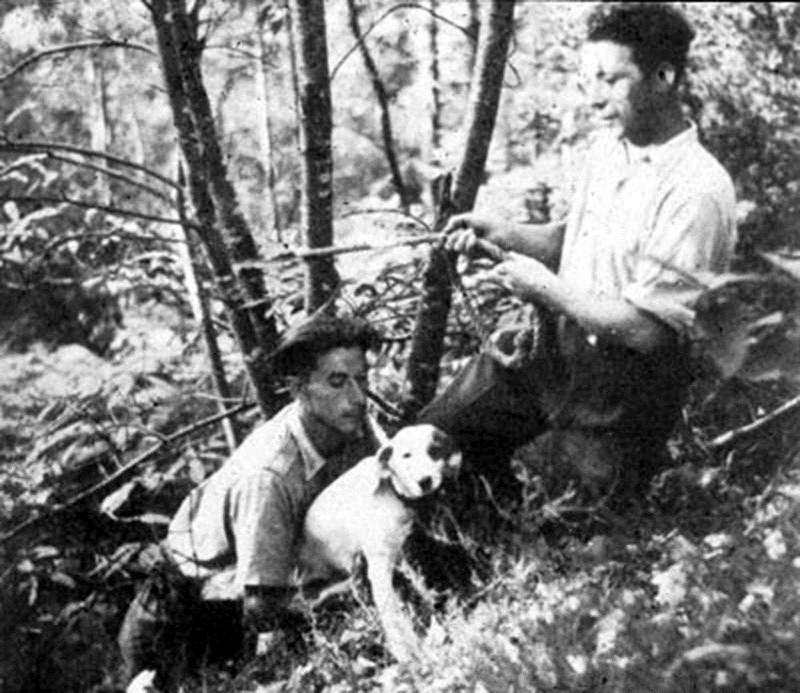 The following photo is a picture of two of the boys along with Robot. Ginger seemed pleased that a dog discovered the cave. However, she said, “But Robot isn’t an Irish Setter.” I responded that Robot can be a challenge to her to find some cave someplace in the moor at the end of the lake on which we live. This is Robot and two of the boys. Robot’s find was, to the artworld, what the finding of the Dead Sea Scrolls meant to biblical scholars. 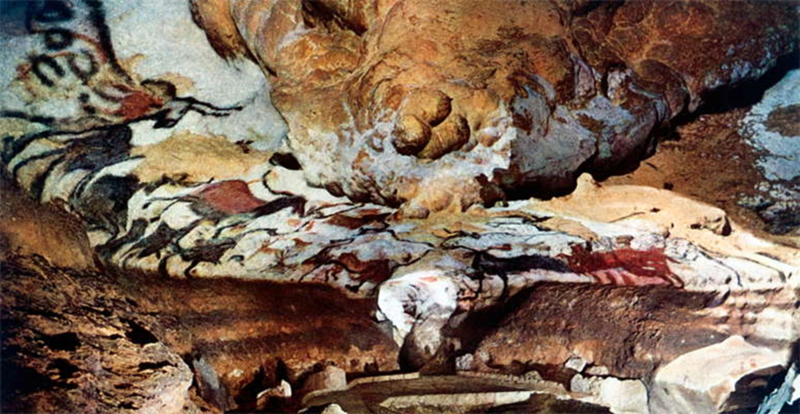 Lascaux Cave’s central cavern is approximately 66-feet wide and 16-feet high. However, the passageway through the various sections of the cave total 260-yards in length and is 5-9 feet high. The cave contained approximately 2,000 figures, which have been placed into three general areas: animals, humans, and abstract objects. 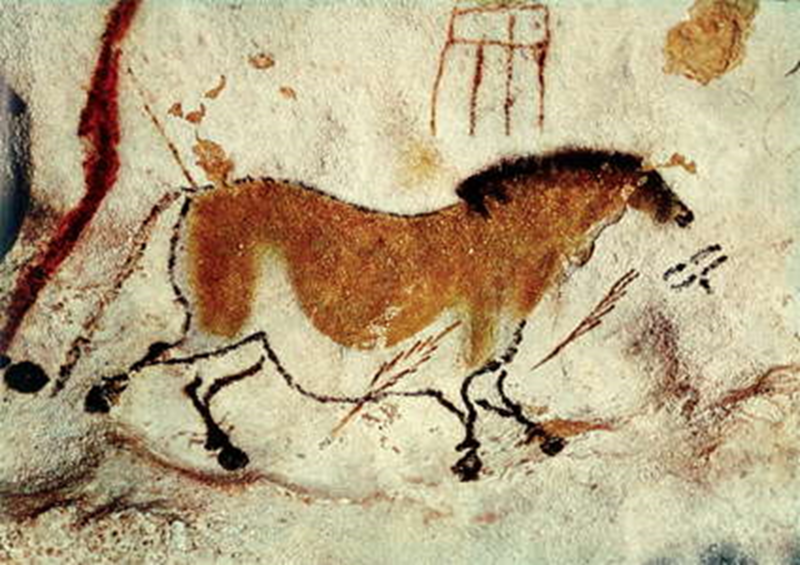 There are 600-paintings of animals, many of which can be identified as animals present during the Upper Paleolithic Period. These include deer, wild cats, horses, bison, and bulls. Scholars have named various galleries some of which are based upon the paintings displayed in those areas. 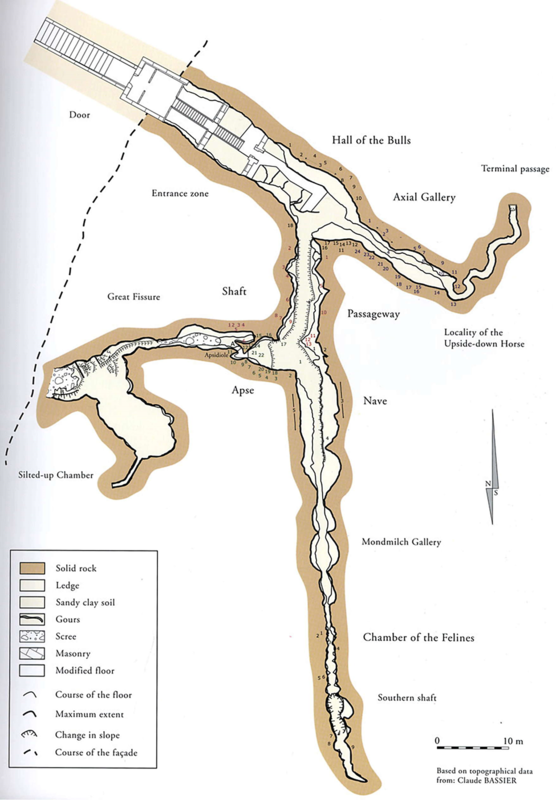 There is the Chamber of Felines, Hall of the Bulls, the Passageway, the Shaft, the Nave, and the Apse. These artistic chambers were painted ca. 17,000 to 15,000 years ago. Michelangelo, a leading Renaissance painter, did most of his painting during the 16th century. For example, Michelangelo finished painting of the ceiling of the Sistine Chapel just over 500-years ago. 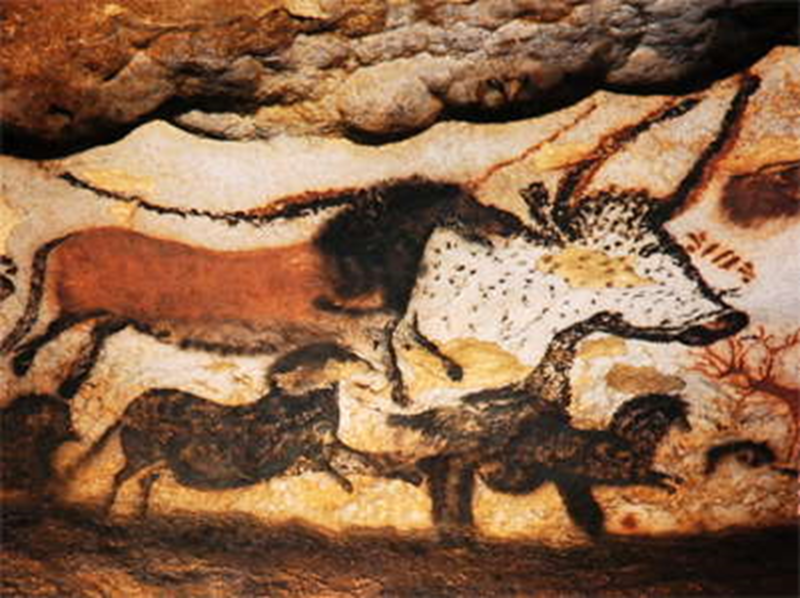 The early versions of Michelangelo-like artists painted the walls and the ceiling of Lascaux Cave also. Interestingly, many millennia ago, the cave painters used the rock formation to accentuate their paintings, and they painted with pieces of moss. Additionally, scholars have tried to grasp why those ancient precursors of Michelangelo painted the walls of the Lascaux Cave. They theorize that is was a school used for various reasons like teaching hunting or it was for some religious reasons. 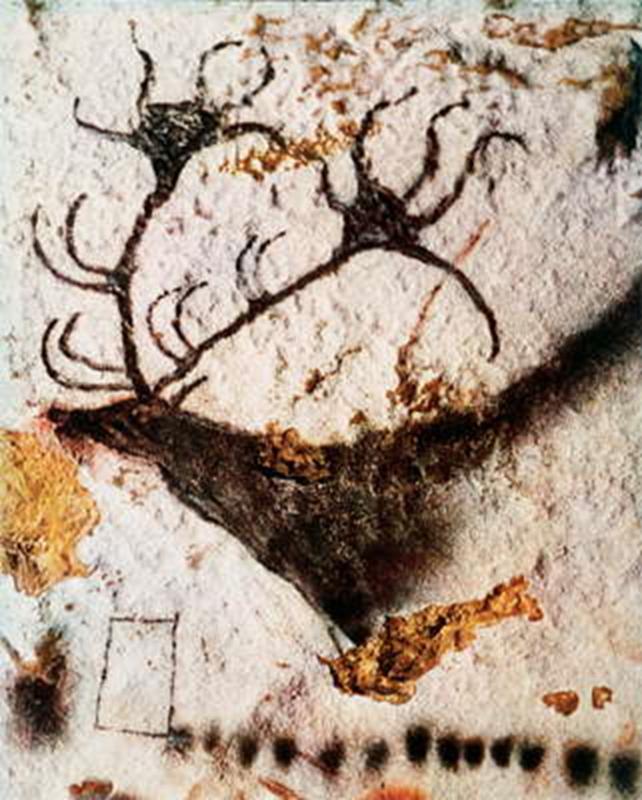 Whatever reason for the cave, Lascaux opened to the public in 1948. However, the volume of people wanting to visit the cave averaged 1,200 visitors per day. The results to the paintings were disastrous. 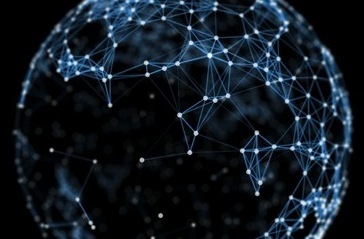 The large numbers of visitors caused all sorts of problems like algae, black mold, other funguses, humidity, carbon dioxide, and temperature increases. The cave was closed to the public in 1963. Since then authorities have attempted to restore the damaged paintings and to control an environment within the case. 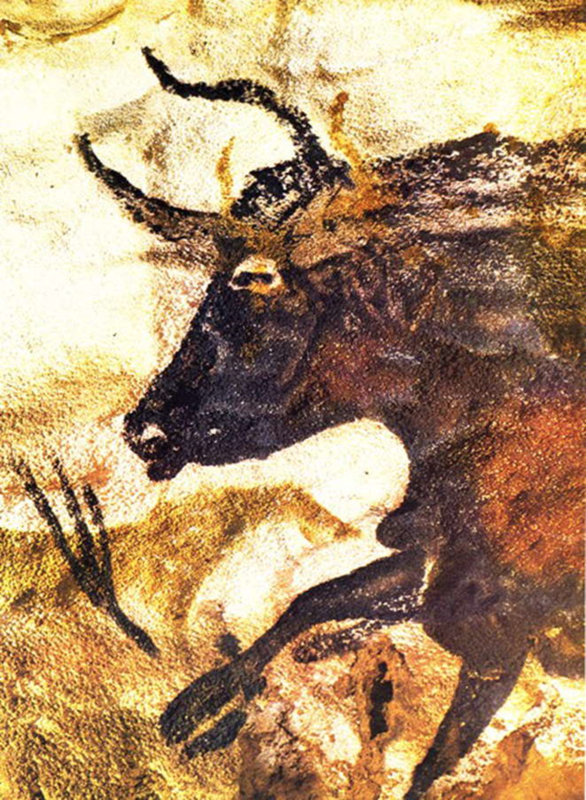 In 1983, they created a replica of a part of Lascaux Cave, which included Hall of the Bulls. Here are several photos from the original cave. This is a small section of some horses and a bull. This is a larger section of the wall. This is a wall of deer. This is called the Great Black Bull. This is one of the Chinese horses. This is called the Black Stag.